We are pleased and proud to announce the publication of the journal Architecture Project Rome No. 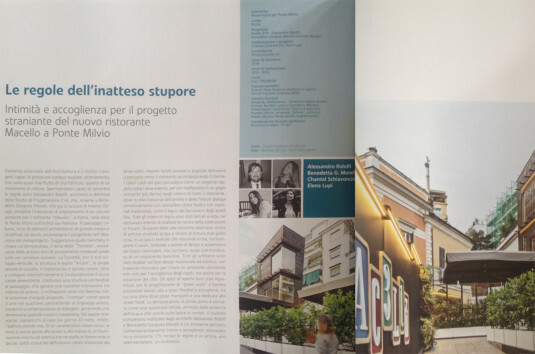 11 features the MACELLO Restaurant Project located in Ponte Milvio. NOS Design’s Architect, Benedetta Gargiulo Morelli was the interior designer for the project. 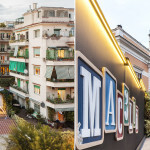 Architect Benedetta Gargiulo Morelli, was selected for the job because she is thought of as a good Italian designer, that reuses existing logic and recovery through usual attention to detail, accompanied by unprecedented creativity. Also Architect Alessandro Ridolfi, President of the Architects of Rome and Province and Director of the Design Studio Z14, played the role of designer for the project. On October 5, the two architects have been invited to present their project, along with others selected Arichitects that were published.